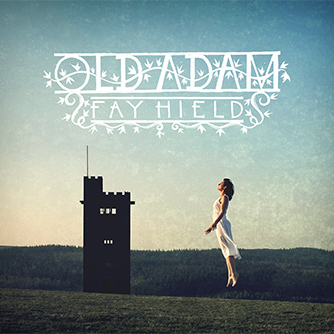 Old Adam is a fresh and original exploration of how we use stories and music to understand what it means to be human and combines not only Fay's gift for unearthing striking material but also her distinctive and naturalistic delivery of it. Old Adam contains 14 tracks, ranging from the The Hag in the Beck from the 1600s to The Briar and the Rose, a version of a Tom Waits song. The title track explores the oldest story in the book: 'the fantasy of a purity of life, before corruption and sin – perhaps it was a result of the developing sins that we have these songs to help us make sense of it all' says Fay. 'Willow Glen' is taken from the Lucy Broadwood collection, while 'Green Gravel' (from Alice Gomme's 'Traditional Games of England, Scotland and Ireland') is an interpretation of a playground song. 'Raggle Taggle Gypsy' moves into the realms of fantasy, with an enticing glimpse of a world we could inhabit, if only we would follow our hearts. Themes of justice (and injustice) are explored in Queen Eleanor's Confession (from a version by Tim Hart and Maddy Prior) and The Hornet and the Beetle (from the collection of Ralph Vaughan Williams). Many of the lyrics are adapted and several tunes written by Fay and a couple by her partner, Jon Boden. The arrangements on the album are all by Fay Hield and The Hurricane Party.